The match against Italy will be the first tier one international to be played in the Lion City and looks to build on the success of their hosting of the HSBC Sevens World Series, Formula 1 Grand Prix and Super Rugby side the Sunwolves, as well Scotland’s visit to Asia to face Japan last year. 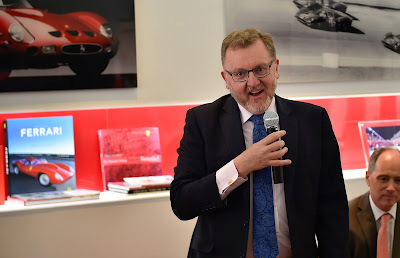 Scottish Rugby Chief Operating Officer, Dominic McKay, added: “Our first test in Singapore sees the continuation of our long-term objective of further-globalising the Scottish Rugby brand in the far east, as part of an exciting summer tour to the southern hemisphere for the Scotland team. 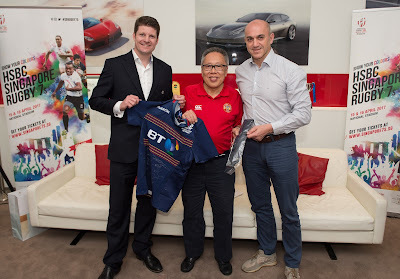 “Our first test in Singapore has been built on an excellent working relationship with the Italian Rugby Federation and the Singapore Rugby Union and augments the successful partnership established in Japan last year in an uncharted corner of Asia for the national team." The second test will see the Scots return to Australia for the first time since 2012, when captain Greig Laidlaw kicked a match-winning penalty to secure the team’s first win down under since 1982 (9-6). Recent battles between the sides have been equally tight though far more fluent on the scoring front, with the Wallabies edging out Scotland by a single point in the past two meetings; in Rugby World Cup 2015 (35-34) and the autumn test at BT Murrayfield in November (23-22). Scotland will then travel to Fiji for the third and final test match. It will be the third time the Scots have faced the Pacific Islanders on their home patch, with the nations honours-even from the 1998 test in Suva won by the hosts (51-26) and the Scottish victory in Lautoka in 2012, in which Tim Visser made a try-scoring debut (35-27). Townsend – who takes the reins of the national team this May – is looking forward to a challenging tour for the Scotland squad. He said: “We're pleased to confirm our 2017 summer tour will take us to Singapore, Sydney and Suva, where our players will relish the challenges presented by tough opposition, travel and climate in a concentrated and intense period of rugby. "Touring builds strong bonds in a group and, in addition our preparation camp, this time together will be invaluable for our new coaching team as we strive to further improve the squad." ￼The Italian Rugby Team will be back to action in June 2017, Conor O’Shea’s Azzurri facing Fiji in Suva on June 17th and two-time World Champion Australia in Brisbane on June 24th. Before flying to the Southern Emisphere, Italy will start their summer campaign playing the first Tier-1 rugby union test match ever played in Singapore National Stadium, where they will face Scotland. Italy will assemble in Rome at the end of May, traveling to the Lion City on June 1st ahead of their 28th clash against the highlanders. Carlo Checchinato, FIR Commercial Director, said: “With the next Rugby World Cup taking place in Japan in two years’ time, this test match in Singapore sets a new milestone in our process of expanding and globalizing the FIR brand even beyond traditional rugby union borders. 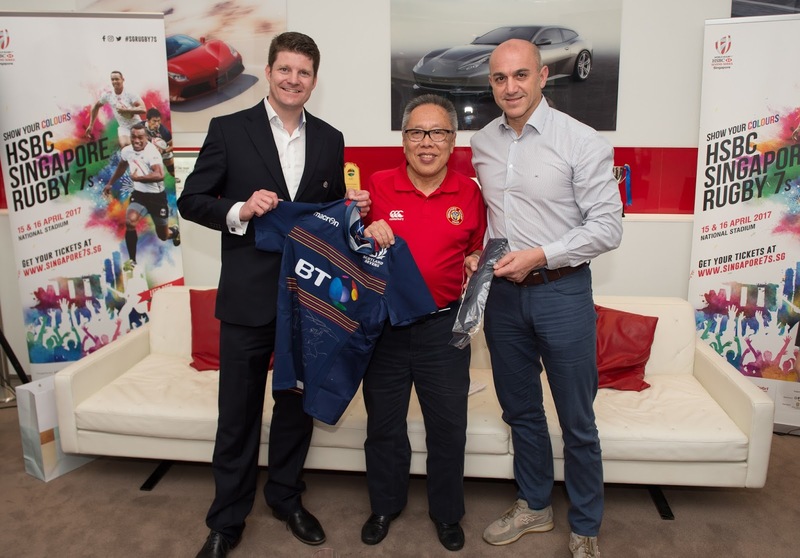 Thanks to our cooperation with the Scottish Rugby Union and the Singapore Rugby Union, we have developed an event that will impact not only the stakeholders involved but will also boost the development of the Game in Asian and Pacific markets”. Italy will leave Singapore on June 11th, traveling to Suva where they will play Fiji three years after their last clash, then moving to Brisbane to face two-time World Champion Australia in their last summer-tour test match.